By regularly visiting our V&A Waterfront Store page you'll never miss any of the action! All Aboard the Hamleys Express! Hamleys has its very own train at the V&A Waterfront. Jump on and have a ride on-board the Hamleys Express as it takes you on a journey around the Waterfront. 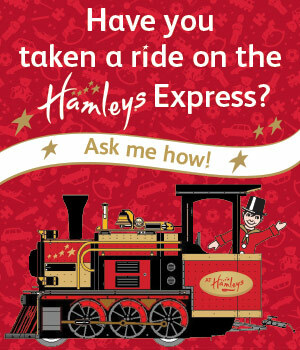 Remember, after your train ride to complete the back of your ticket and go in-store to claim your FREE Hamleys Badge and be entered into the monthly draw to win a Hamleys Hamper. 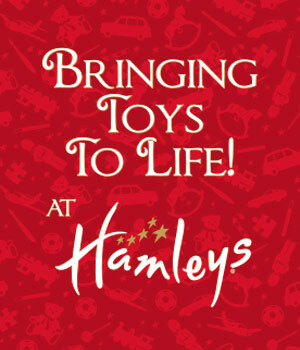 Additional Information: The Hamleys Express will be in operation when weather permits. Check the sign by the station for exact times everyday. T&Cs apply. 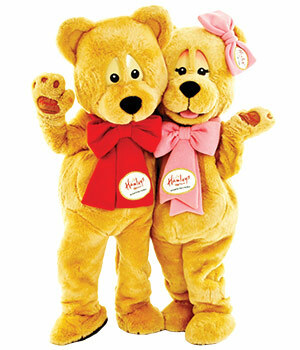 At Hamleys Mall of Africa we are Bringing Toys to Life! Date: Keep up to date Every Day! We are always having a great time at the Finest Toy Shop in the World! To make sure you dont miss out on the fun, magic and theatre join us on Facebook by clicking on the link below and LIKE your local page. 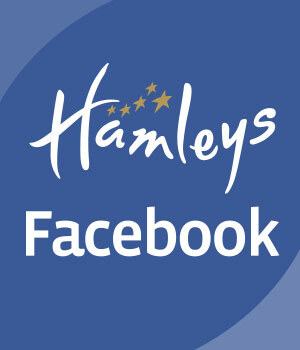 This means you will never miss out on special events, character visits, special offers, competitions and lots more! 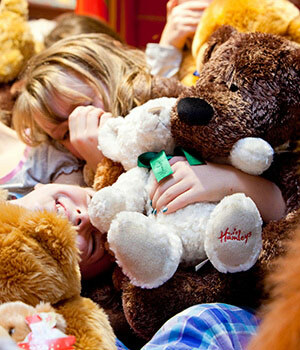 Hamleys - Bringing Toys to Life!